Mayor Stanton's proposal is a radical left turn for Phoenix. Labeled the "Bathroom Bill" it allows grown men in the girls' bathrooms at our parks, businesses and restaurants and it imposes criminal sanctions on our business community. Furthermore, we now have uncovered that it opens the door for criminal penalties against churches. Should our priests, pastors, rabbis and bishops and stake presidents be made criminals by the City of Phoenix? Do you think it is the role of our city to impose criminal penalties against churches? I don't. I also believe the proposal is clearly unconstitutional. Please read the comments and the full release from the Diocese of Phoenix below. "By failing to provide a clear means by which individuals may, in good conscience and without malice, practice their faith and live their values without fear of prosecution and punishment, the proposed "non-discrimination" ordinance actually could be used as a means to codify and mandate unjust discrimination against people of faith." Mayor Stanton has put this ordinance on a fast track, greatly diminishing the transparency and opportunity for public evaluation that we value in the City of Phoenix. Every day we are finding new and dramatic changes his proposal demands. Mayor Stanton has dug his heels in on his proposal and he needs to be pressured to reasonably amend it. I am calling on the city to slow this down and give everyone an opportunity to evaluate all the consequences of this proposal. It’s a problem now affecting thousands of people who’ve lost their homes. WWJ’s Sandra McNeill reports on the phenomenon known as the ‘zombie foreclosure.’ Mark Gilman from Decus Consulting says a zombie foreclosure is when a homeowner walks away from their home but the tax debt isn’t dead. “The banks are not starting the process immediately and what happens is a year later they get a tax bill and they can’t understand why? The reason is because the house was never actually put into the foreclosure process,” notes Gilman. Gilman says because the markets are so bad the banks are holding on to a lot of these foreclosed homes. 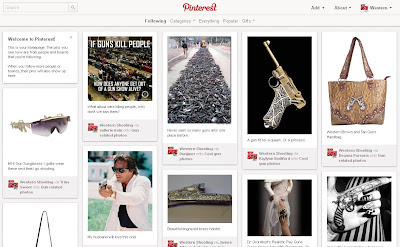 Western Shooting Journal is now on Pinterest, and we're pinning the coolest gun related photos out there. Pinterest only takes a couple of minutes to join and it's free. Due to copyright, we can't post a lot of these neat photos on the blog, but it's acceptable to "pin" them on Pinterest so come find us there and join in the fun. PHOENIX, Arizona—Americans for Prosperity-Arizona (AFP-AZ), the state’s premier free market grassroots organization committed to smaller government and economic freedom, today released its scorecard for the 112th Congress. AFP also launched an interactive online version of its congressional key vote scorecard, which includes AFP key votes from the past three congresses and will be the scorecard’s online home moving forward. AFP ranks members of Congress on their votes for economic freedom. A copy of scores is below. AFP’s new scorecard website is online at: http://www.americansforprosperity.org/scorecard. A printable version of AFP’s 112th Congress Scorecard is available by clicking here. The 112th Congress Scorecard includes critical votes on such issues as the repeal of President Obama’s new health care law, preempting EPA’s purported authority to regulate greenhouse gases, Chairman Paul Ryan’s budget, ending ethanol subsidies, several Congressional Review Act resolutions to overturn new regulations, and the fiscal year 2012 appropriations bills. 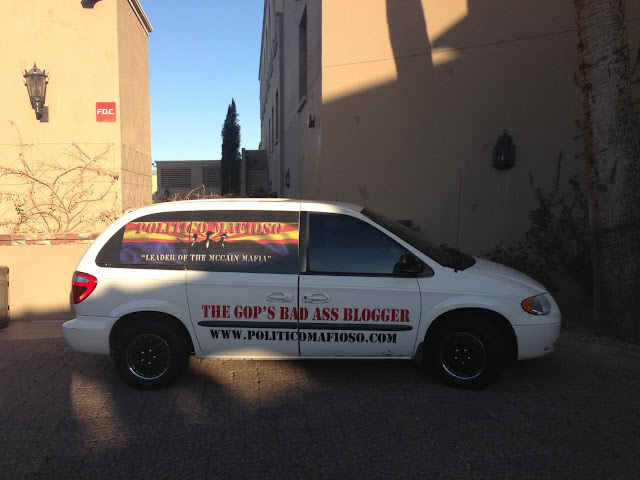 For further comments, contact State Director Tom Jenney directly at (602) 478-0146 or tjenney@afphq.org. If you're up early Wednesday morning, and want to hear about what kinds of gun laws are being proposed in state legislatures right now, check out my interview as editor of Western Shooting Journal on Austin Hill's Idaho show. 5:35am PST (8:35am EST) ......click here to listen to NewsRadio KINF 99.1 FM live. Click here to check out Western Shooting Journal and subscribe (only $1.89/mth online). While there are plenty of gun control laws being introduced, there are also some gunowner-friendly laws surfacing. Where is the Left's Uproar Over Obama's Secret Warmongering Drone Policy? The head of the House Judiciary Committee wants to update Arizona's dated and sometimes anachronistic bankruptcy laws. Nothing in the proposal by Rep. Eddie Farnsworth, R-Gilbert, alters the process that allows individuals to seek protection from creditors. Those are set in federal law. But that same federal law allows each state to decide what those declaring bankruptcy can keep. And Farnsworth said that list for Arizona is long overdue for an overhaul. The big problem, he said, is that it is far too specific. Consider: The Arizona law allows debtors to keep one kitchen table and one dining room table with four chairs each. They can keep additional chairs if there are more than four in the house. The list of permissible items also includes three living room lamps, one radio alarm clock, one vacuum cleaner and a choice of one television set, radio or stereo. And the total value of all that cannot exceed $4,000. HB 2325 would keep that $4,000 limit for household items. But it strikes the specifics of what can be included to give those in bankruptcy some individual choices in deciding what's important to them.